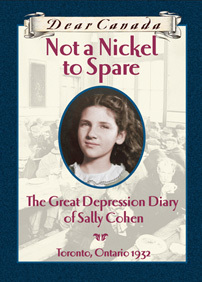 Coping with being poor during the Depression is hard enough, but Sally also has to deal with the anti-Jewish feelings in her community when she ventures outside her familiar Jewish neighbourhood. And her cousin Benny is always getting into scrapes Sally has to try to get him out of. Sally must find the strength and learn to cope with the world around her. Today in school we were supposed to be working on our arithmetic problems but I got distracted and started thinking about not sticking to your own kind, because of course we always do. I mean, I talk to Rivka and some of the other Jewish girls all the time, but none of us ever talk to any of the goyishe girls. And of course they never talk to us, they just look down their noses at us when they pass by like they were smelling a bad smell or something. I guess we do the same to them, too, but still. Some of those girls have been in my class right through school all the way from Junior One, and I know their names from the roll call and what colour their hair is and what kinds of dresses they wear, but that's all I know about them. I know more about the Jewish boys, for heavens' sake, and of course we hardly ever talk to any of them, either. Maybe it would be interesting to know some of the goyishe girls, even just a little. The one I'd really like to know is Myoshi Ukeda. I know she lives just a block away, over on Bellevue, because I see her walking there on the way home from school. And she looks so strange and interesting and exotic, like Madame Butterfly in the opera in the book Sophie got from the library about operas. I wonder what it's like in her house and what kind of food they eat. She's the only Japanese girl in the whole neighbourhood. I don't think she even has any sisters or brothers. She always plays by herself and walks home by herself. She must be so lonely. But of course I can't just go up to her and start talking. What would she think? What would Rivka or the other girls think? And I could never talk to Myrtle MacDonald, even if we like the same things, because who knows, a goyishe girl like her might come from a family who thinks Jews should all be rounded up and sent back to the old country. 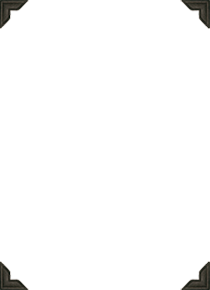 She might think so herself. I could never do it. I guess I don't even really want to. But still, I sort of wish I did. If I did and that horrible policeman saw us, he'd have a conniption fit. From Dear Canada: Not a Nickel to Spare, copyright © 2007 by Perry Nodelman. I'm almost done this book, but it's my favourite book ever! So glad I gave it a try! I'm already half way through Not a Nickel to Spare at school and I love it. I would highly recommend it to girls. It was an awesome book!!!!!!!!!! The depression back then was hard on people, especially if you were Jewish. This was a really great book! Sally faced tough times in the Depression. But what I really like is that she's brave to stand up to the Nazis. This was a great book!!! I haven't read a good book like this in a long time! I would recommend this book to anyone I know! I loved this book!! I felt like I actually was back 80 years in time and right there in the Christie Pit riots!! It is exciting but sad because the riots really happened and Jews really were treated so awfully. Not a Nickel to Spare is an excellent book. The book really made me think about how bad the Depression was. Next is Days of Toil and Tears! This is the first book I ever read in the Dear Canada series. This the book that got me hooked onto the series. I would definitely recommend it to everyone who asks.